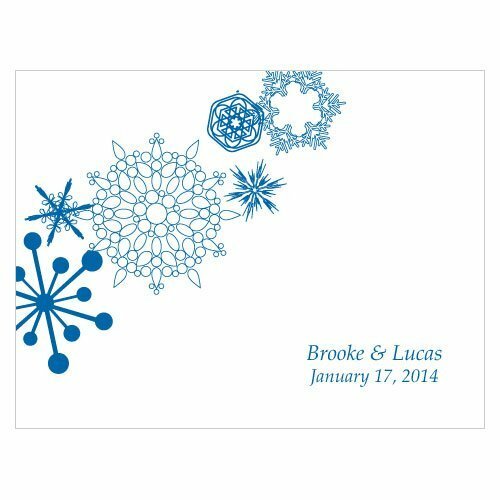 Designed for use in a laser printer, these flat white index note cards are accented with snowflakes and your names & wedding date in one of nine print colors. 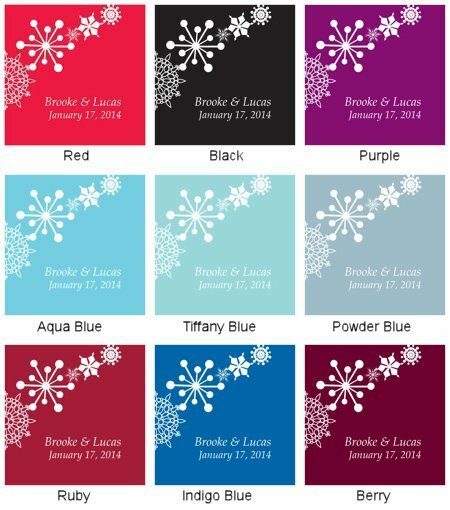 The cards measure 3" by 4" and are sold in a set of six (minimum order of 4 sets). Use them for reminder notes, thank you cards or wish cards - where guests write a note of advice or best wishes and then deposit it into a wish box for you to enjoy later. NOTE: Note Cards do not include envelopes.